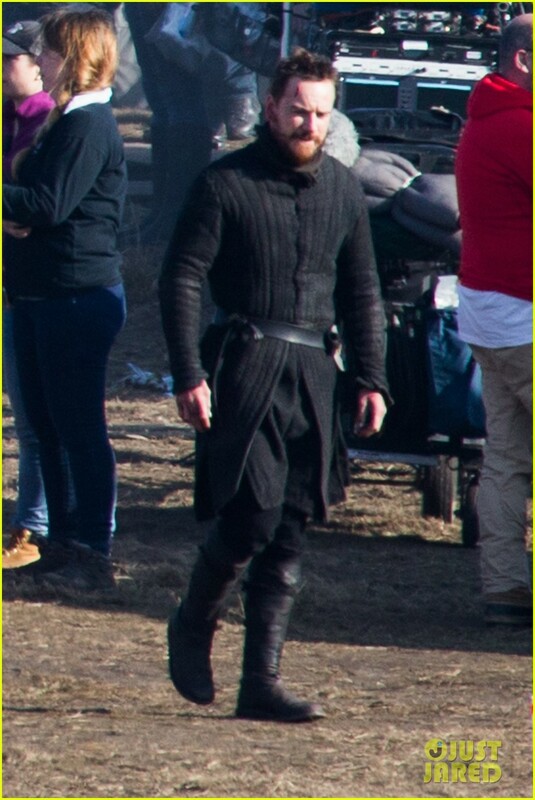 Just days after the Oscars, Michael was back filming MacBeth in Surrey. I've read obnoxious comments across the internet from people criticizing or complaining about Michael wearing a full beard. While I appreciate people appreciating Michael's good looks, there is more to the man than just being a pretty man. And the opinions served as a reminder that still a lot of people don't know enough about Michael, or follow his career close enough to know that his beard is for MacBeth. And as an aside, even if he wasn't filming, if he wants a beard, it's his face. Also in regards to MacBeth, it has been confirmed that Marion Cottilard, who will play Lady MacBeth will be using her French accent. I think that's a good idea because the Scottish accent is hard for anyone to do convincingly if they are not Scottish or lived near Scotland to pick up the accent easier. Who says that a Shakespeare adaptation had to follow each and every nuance of the play? So does this mean that Michael will be using his Irish accent, or will he go Scottish like he did a decade ago on a little seen UK TV series episode? Regardless of which accent the two leads will be using, this is shaping up to be an incredible MacBeth! The Blu-ray/DVD for 12 Years a Slave is available for sale in the US now, but I'm waiting for the new print edition that has 'Academy Award Winner Best Picture 2013' on it. Because the DVD was released the day after the Oscars, the covers were printed before they knew they would win the Oscar. So I'll just wait a little bit... I'm a details type of a girl. Over the weekend, four hefty donations were made by some lovely Fassinators who totally believe in this fundraiser. We currently stand at 28% of our goal having raised £289.13. There are 21 days remaining and please remember that if we make our goal, there will be a prize raffle. If we surpass that goal, I may toss in a bonus raffle prize. :-) Help me do this my friends and donate whatever you can as soon as you can. Thanks! I'm glad to see that the fundraiser start rolling :-) . You know you can count on me for another donation towards the end of March. I happy to see that Michael is busy with his 'normal' life. Just like us. The negative side of the award season is the overkill of google alerts. Both Michael and Steve are 'victims' of the gossip train. SIGH. I only read some captions and agree on the comment made in an earlier post about getting traffic to websites. So I was happy to read about MacBeth and the fundraising. Positive and 'normal' that's what I like! Thanks for your support Hupsakeek, I hope more people who donated last year donate this year as well.